Catheter ablation success rates have improved over time based on a better understanding of atrial fibrillation, new techniques and technology, and greater doctor experience. In early studies, the majority of centers reported single procedure success rates of 60% or more for paroxysmal atrial fibrillation and 30% or less for persistent atrial fibrillation. For multiple procedures, the majority reported success rates of 70% or more for paroxysmal atrial fibrillation and 50% or more for persistent atrial fibrillation.1 Outcomes varied based on differences in technique, experience, skill, and follow-up. The second worldwide survey showed that doctors were starting to treat more patients with persistent and longstanding persistent atrial fibrillation with catheter ablation. In the first survey, only 53% of centers performed catheter ablation on patients with persistent atrial fibrillation whereas in the second, 86% of centers treated persistent afib. Similarly, only 20% of centers in the first survey treated patients with longstanding persistent atrial fibrillation, which increased to 47% of centers in the second worldwide survey. Since the second worldwide survey used data on procedures only up until 2006, safety and efficacy should be expected to be higher today using current procedures and experience rates, particularly in high-volume centers. Some centers today cite success rates of 80%–85% for first ablations and 95% for second ablations, but there are variances in how different centers measure success. How treatment success was defined - Some studies have a strict definition of treatment success freedom from atrial fibrillation and antiarrhythmic drugs after a single procedure while others may count as successes patients who remain on antiarrhythmic medication or who have had multiple procedures. How success is defined can be meaningful because if a study shows a 90% success rate, but only 10% of patients were able to stop taking antiarrhythmic drugs, then you might question the effectiveness of the treatment. What type of monitoring was used after treatment - Most studies officially start tracking a patient's heart rhythm three months after a procedure as the first three months are considered a "blanking period". Monitoring methods include patient questionnaires about symptoms, an electrocardiogram (ECG) performed in the doctor's office, a Holter monitor (24-hour, 48-hour, seven-day, or longer), an event monitor, or an implantable loop recorder. An implantable loop recorder (a small device implanted under the skin in the chest area) is the most rigorous follow-up method, and the patient questionnaire is the least. Most studies use a 24- or 48-hour Holter monitor to determine whether atrial fibrillation episodes occur following treatment. What was the length of follow up - Most studies report on treatment successes and failures at one year following the procedure. Generally, success rates that are based on follow up of less than 12 months should be considered preliminary and subject to change as a sizeable percentage of people have an afib recurrence within the first year. 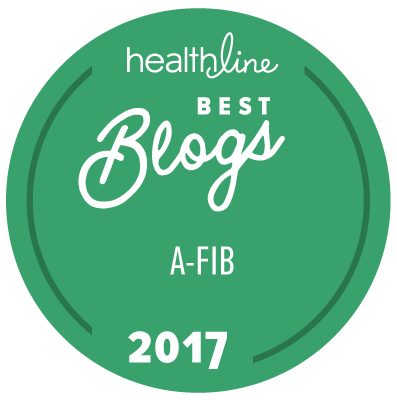 In fact, about 30% of patients undergo a second procedure within the first year to treat atrial fibrillation recurrence. Only you can decide what defines treatment success for you. Success may mean freedom from atrial fibrillation and the ability to stop antiarrhythmic medication after one catheter ablation for some people, but for others, alleviation of symptoms, even though they have to remain on antiarrhythmic drugs, may mean success. If you're considering a procedure, ask about the catheter ablation success rate for the specific electrophysiologist and for the center in which it would be done. Also ask about how they define success, such as with or without antiarrhythmic drugs and the number of procedures, and how success is measured, such as by event monitoring, and at what intervals it is measured. It also wouldn't hurt to ask for their success rates and complication rates for the specific technology and tools to be used on you. If you're considering a catheter ablation, you need to know about Catheter Ablation Risks. 2 Cappato, Riccardo, MD, et al, "Worldwide Survey on the Methods, Efficacy, and Safety of Catheter Ablation for Human Atrial Fibrillation," http://circ.ahajournals.org/cgi/content/full/111/9/1100, Circulation: 2005;111:1100-1105. 3 Cappato, Riccardo, MD, et al, "Updated Worldwide Survey on the Methods, Efficacy, and Safety of Catheter Ablation for Human Atrial Fibrillation," http://circep.ahajournals.org/content/3/1/32.full, Circulation: Arrhythmia and Electrophysiology, February 2010.